This mating was announced earlier in the thread, but I couldn't resist the picture. Rate Play to Karakontie according to Sean Feld tweet. 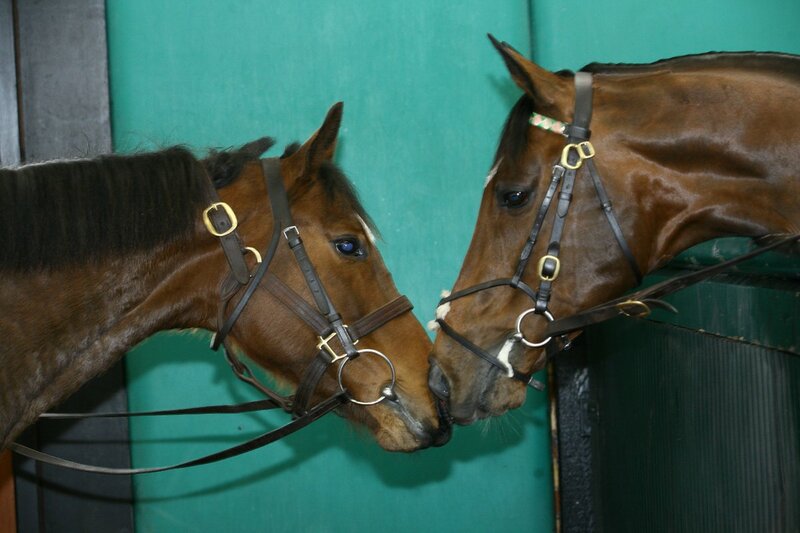 Love the Frankel/Untapable picture. So cute. I have never worked on a farm that allows the stallion any contact with the mare such as this. She is usually hobbled, twitched and tail wrapped. The stallion comes in and takes care of business, end of story. I think it's nice that they allow a bit of the more natural contact of stallion and mare before breeding. Looks like he is behind a teasing wall in the picture, understandably. An excuse to post a fun little story. Glad that Symm Symm is doing well. I kinda felt bad that she spent almost all of her previous life at Denali and then was sold. It just simply amazes me how one little mare (and a cranky one, lol) can have some much influence . Champion on the track and in the shed. A rare gem indeed. I especially love this mating. I am super excited for that resulting foal too! Two favourites together.